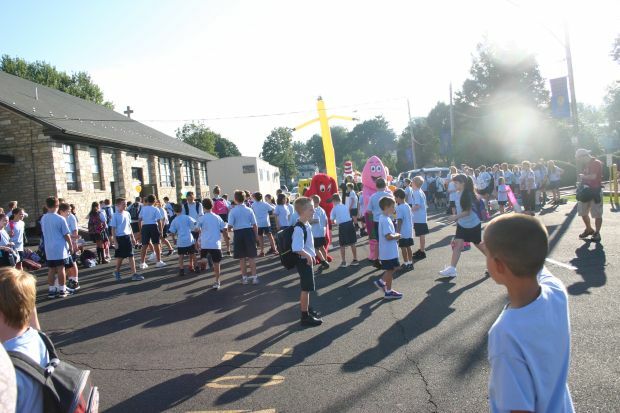 Students of Our Lady of Grace School in Penndel arrived for their first day of school Aug. 27 were surprised to be greeted by some familiar characters – Mickey Mouse, Sponge Bob, the Cat in the Hat, Curious George and others. Music from a DJ filled the morning air along with prizes flung by a huge sling shot. 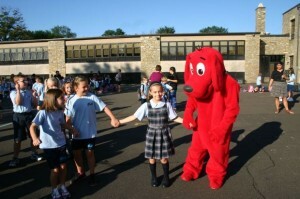 Eighth graders taught the school’s younger students the newest line dances. School principal Denise Lewis read the school’s mission statement followed by a special school year blessing by Father Jim DeGrassa, parochial vicar. 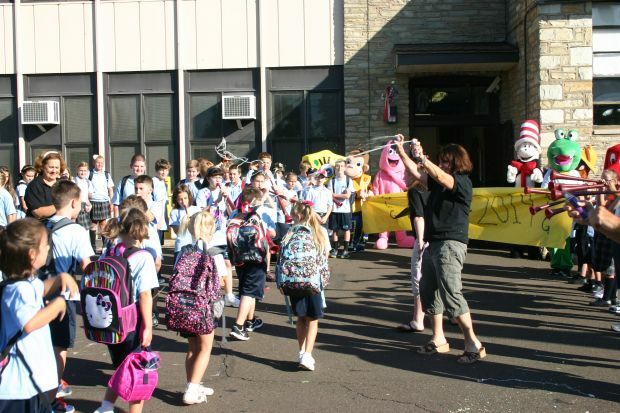 Following the prayer, the newest students ran through a banner and through the front doors to begin the 2013-2014 school year. Many parents remarked how the festivities made the first day something their children looked forward to instead of dreaded. 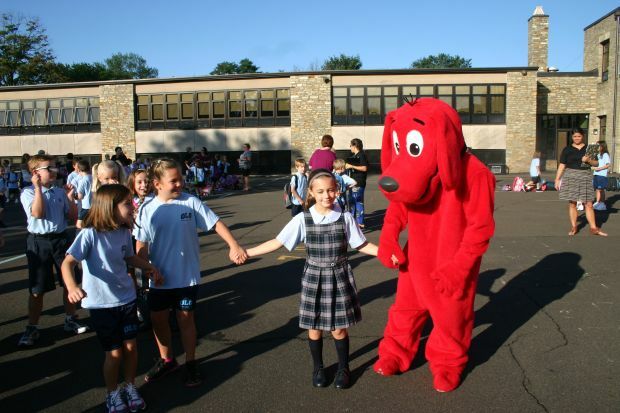 Summer’s end seemed less painful when school opened with music, dancing, prizes, surprises and prayer.